Did you know it’s International Babywearing Week! 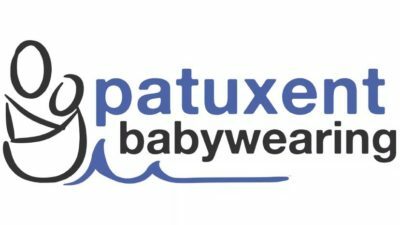 IBW this year runs from October 1-9 and we are kicking off celebrations with the official launch of Patuxent Babywearing, a brand new, independent nonprofit organization dedicated to helping you enjoy wearing your baby safely and comfortably. In celebration of IBW, we have lots of fun events planned: workshops, fundraisers, meetups, and a donation drive. See our Facebook page for events! See our store to make donations and check out MD Flag Wrap Scrap items for purchase! When our former national organization Babywearing International announced bankruptcy, we scrambled to stay together because we know we help fulfill a need in our community. To us, Babywearing is about love, support, and friendship, and we’ve worked hard to reestablish our group, get nonprofit status, and acquire the necessary insurance and tools to maintain our lending library and enable us to confidently teach Babywearing. All of this is expensive, but we’ve made it a priority to establish a new budget and plan so we can continue to serve you. We are dedicated to helping you, but so many of you have already helped us by donating, spreading the word, or just offering a hand. Sharing our posts and fundraisers really goes a long way! And we always welcome volunteers or support in any way you can provide it. We are so grateful for our community! And if you have any questions please visit our FAQ page.